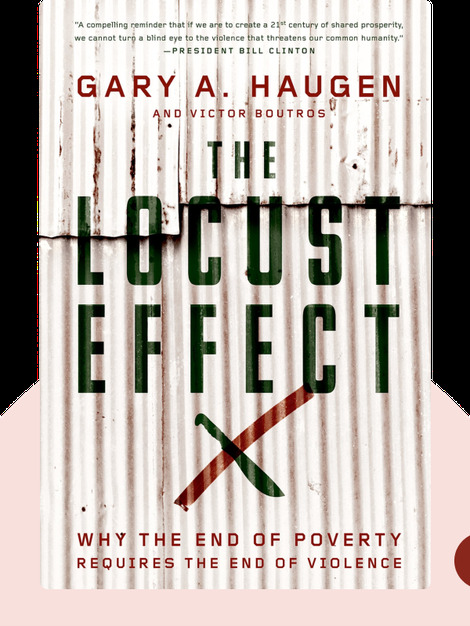 The Locust Effect (2014) argues that foreign aid is only useful to developing countries if their impoverished citizens have protection from violence and crime. Without this, aid money is wasted because neither individuals nor businesses are safe to grow. Financial donations should aim to strengthen national criminal justice systems, so countries can serve themselves in the long run. 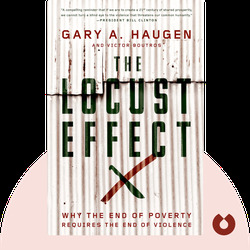 Gary A. Haugen is a lawyer and the CEO of International Justice Mission, an NGO that supports local authorities in protecting the poor against crime. Victor Boutros is a US Department of Justice prosecutor who investigates human trafficking and hate crimes. Haugen and Boutros also co-authored And Justice for All: Enforcing Human Rights for the World’s Poor.